The brilliantly animated movie Loving Vincent premiers this week. Most of the movie is set in France, where Van Gogh spent the last years of his life, painting stunning works like The Starry Night and Cypresses, and met his early and tragic demise. But actually, Van Gogh spent most of his life in The Netherlands and there are many places to meet Vincent van Gogh in The Netherlands. If you’re a fan, don’t skip these Dutch Van Gogh hotspots. Vincent van Gogh and I have 2 things in common (no, I have both my ears, thank you very much!). First of all, we both have red hair. Secondly, we were both born in the Dutch province of Noord-Brabant. Actually, Vincent van Gogh was born just down the road from my hometown. I have always thought it was pretty spectacular that one of the most brilliant painters of all time was born in such a small, and maybe even insignificant, place as the area where I am from. For me, this sparked an eternal fascination and curiosity about Van Gogh and his work. The painter made so, so many works. Most of which his brother Theo bought, out of pity. It wasn’t until after his dramatic death in 1890 his work, along with the paintings of contemporaries Paul Gaugin and Georges Seurat, sparked a whole new era for the arts. On the 30th of March 1853, Vincent was born in Zundert, in the Dutch province of Noord-Brabant, as the son of a protestant vicar in a predominantly Catholic region. He enjoyed a pretty privileged childhood and was homeschooled as most schools in his area were Catholic. 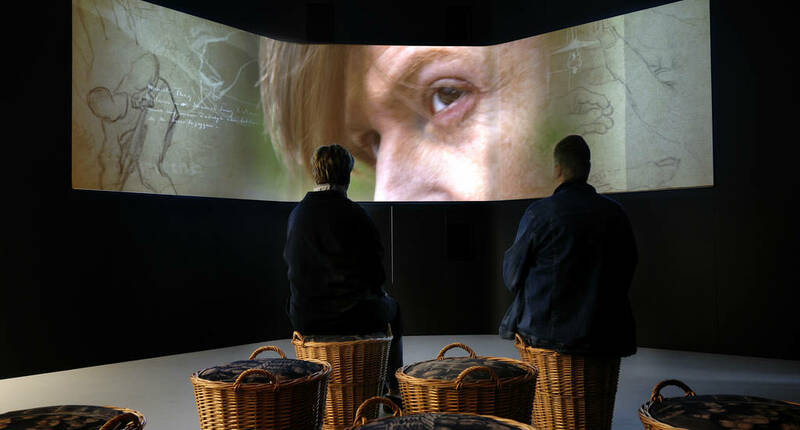 Nowadays, the birth house of Vincent van Gogh has been turned into an interactive visitor’s centre where you go on an audiovisual journey and meet Vincent’s family, like his supportive brother Theo and his uncle, the art dealer Cent. In the small village of Zundert, you can also visit the church where Van Gogh’s father preached and the grave of his brother Vincent, who was born a year prior and died as an infant. I grew up 10 minutes from this place and I had no idea that there was such a thing as a Van Gogh Church. After Vincent failed as a teacher, preacher and an art dealer, he decided to move back to where his parents lived at the time, Etten. Desperately in need of money and his mind set on becoming an artist. Here is where he found his first models and first started to experiment with landscapes. Volunteers in Etten-Leur enthusiastically show you around the church and various places in town that were of interest to the painter. Even though Van Gogh painted a lot of his masterpieces in the French Province, no place was as significantly important to him than Nuenen. During the two years he stayed there with his parents, between 1883 and 1885, his creativity was shaped and perfected. 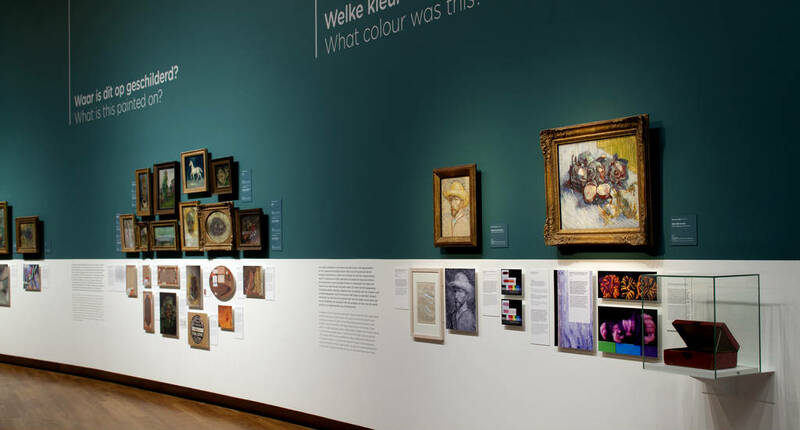 The number of works he produced in Nuenen is astounding: 195 paintings, 313 drawings, 25 watercolours and 19 sketches. One of these pieces was the famous work The Potato Eaters. 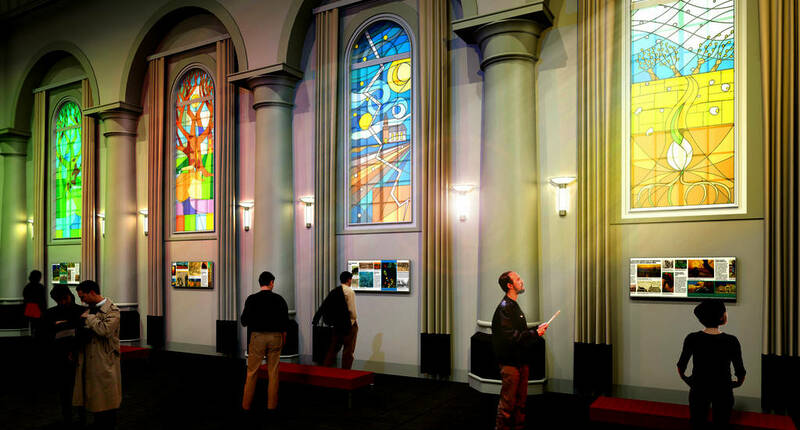 Van Gogh became inspired by the landscapes, chapels and hard workers he saw around town. Nowadays, Nuenen has basically become a Van Gogh Village, with the Vincentre as its interesting visitor centre. The museum draws visitors into the love-hate affair Vincent developed with Nuenen throughout two years, but you can follow the footsteps of Van Gogh in Nuenen by looking up the 17 information columns around town. After pressing the buttons on the columns you will be told why this exact location was so important to Van Gogh and in which of his works it was featured. If you are staying in Amsterdam during your trip to The Netherlands you can take a Van Gogh themed day trip to Nuenen, which runs every Saturday. You can buy a ticket for this day trip at the Van Gogh Museum. If you have read my article 10 things to do in Den Bosch you were maybe already convinced to a day or two in the capital of the Noord-Brabant province on your next visit to The Netherlands. 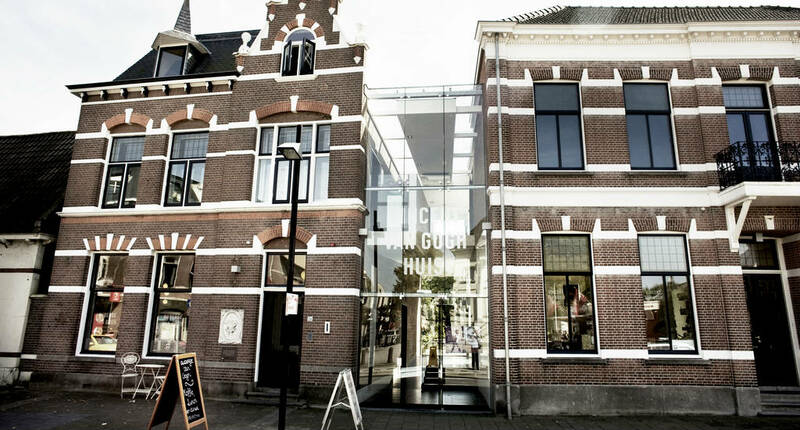 And one of Den Bosch highlights is also a Van Gogh hotspot: the Noord-Brabants museum. 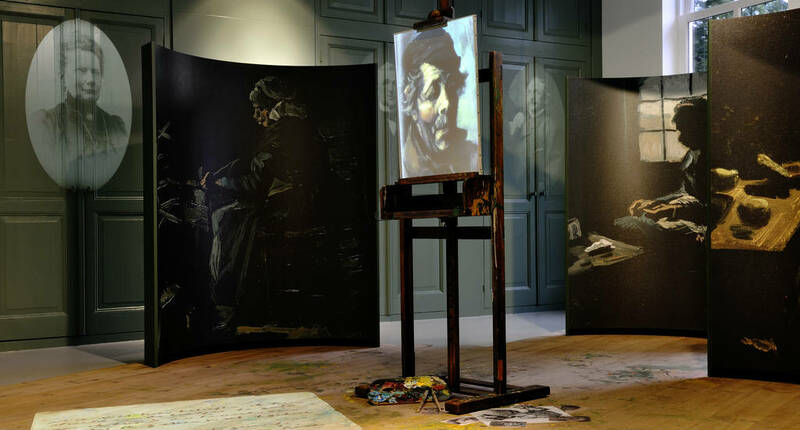 This is the only place in the Noord-Brabant province to see original Van Gogh works. 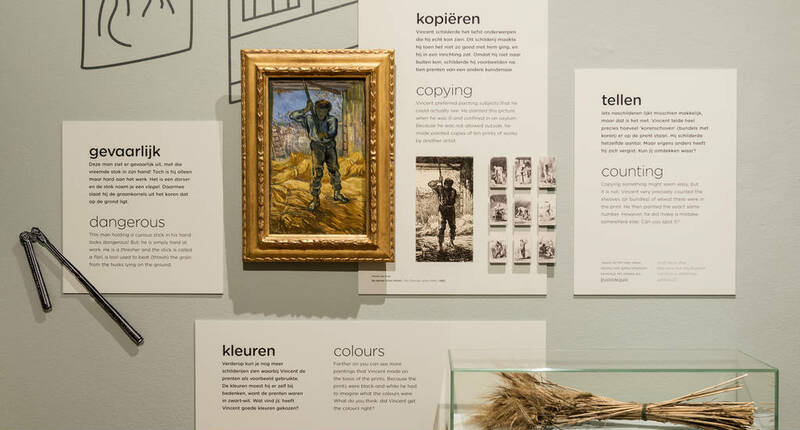 They are part of ‘The story of Brabant’ exhibit and the Van Gogh pavilion is filled with amazing works, like the farm women from The Potato Eaters, his father’s rectory and typical Brabant’s landscapes. Plan your visit to Den Bosch with my city guide Den Bosch. Kröller-Möller Museum is a highlight of any trip to The Netherlands but is especially interesting for Van Gogh fans. The museum is set in the middle of The Netherlands’ largest national park: Park Hoge Veluwe, a beautiful nature park to spot deer, wild boar and to take some amazing hikes or bike rides. The Kröller-Möller has the collection of works by Van Gogh can easily rival the collection of the grand Van Gogh Museum in Amsterdam. Hélène Müller, who started the museum with her husband, was a huge fan of Van Gogh’s work and was one of the first European women to gather such an impressive art collection. The Kröller-Möller Museum is the place to see Van Gogh’s The Potato Eaters, The Weavers and many other famous works of art. If you are based in Amsterdam, small group tours to Kröller-Müller Museum and Hoge Veluwe national park are available. 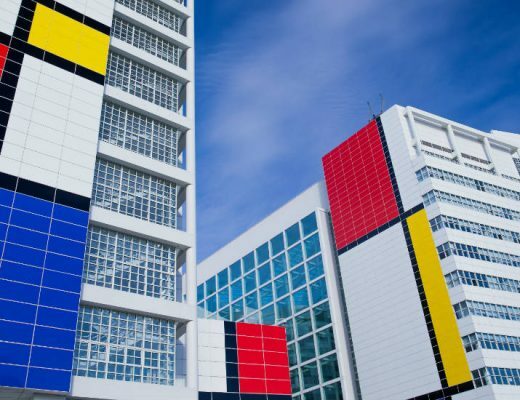 When visiting Amsterdam the famous Van Gogh Museum is probably on your must-visit list, as well as de Rijksmuseum. And rightfully so. A visit to the Van Gogh Museum is like taking a journey through Vincent’s life, with both famous pieces like the sunflowers and scenes from the French Provence, as well as lesser-known paintings. Since lines can be very long, I can highly recommend booking your ticket online in advance. Planning a trip to Amsterdam? Read the ultimate Alternative guide to Amsterdam. 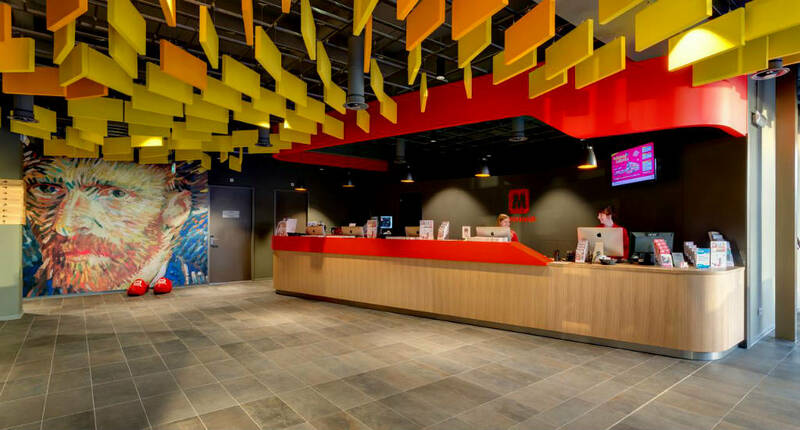 If you can’t get enough of Vincent van Gogh, you can even stay in a hotel in Amsterdam that was completely styled after Van Gogh: Meininger Hotel Amsterdam West. 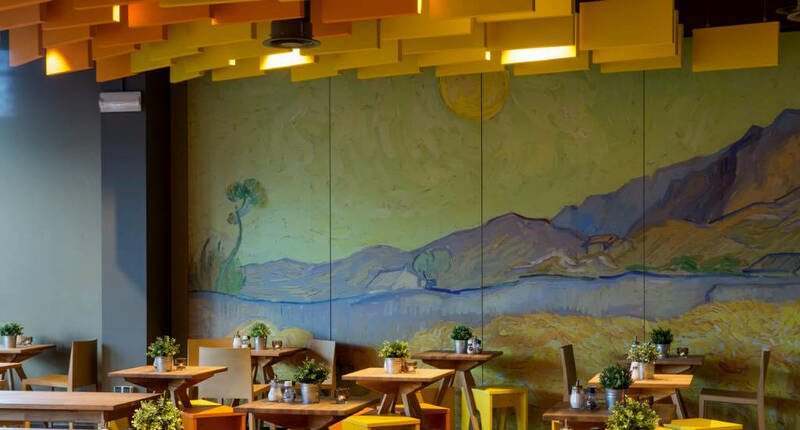 The public spaces of this hotel welcome you with huge replicas of Van Gogh paintings and the yellow panels on the ceilings are inspired by ‘The Starry Nights’. The hotel is a little outside the city centre (and therefore very affordable for Amsterdam standards! ), but you will be able to reach the city in Amsterdam within 5 minutes by train. If you’d like to visit the smaller towns named in this article, you will save a lot of time by renting a car in Amsterdam. It’s easy to get around Amsterdam by public transport or visit Den Bosch from Amsterdam. Den Bosch is only a 1-hour train ride from Amsterdam and trains run every half hour. If you buy an OV Chip Card, which you can charge and use on any type of public transport in The Netherlands. Read more about planning your trip on my page Plan your trip. Are you a big fan of Vincent van Gogh and are you planning to go and see the movie, Loving Vincent? Oh please do. It’s so interesting to follow his footsteps. I would love to see the Provence, where he worked and lived. When it comes to van Gogh, I don’t dare say his name out loud anymore because one time my Dutch friend asked me how I pronounce it and I said something like “van Go” and she laughed and was like, no, *pronouncing it correctly which I can’t reproduce*. Dutch is a hard language, haha. Such an intriguing artist and person, though. I’d definitely love to stay in that hotel! LOL! I am known to ‘tsk’ when foreigners try to pronounce Van Gogh (it’s not hard, promise). It’s a good thing enjoying his art has nothing to do with knowing how to pronounce his name correctly, right! This is great! I’ve been a Van Gogh fan ever since I first saw a print of Café Terrace at Night as a teenager. It’s still one of my favorite pieces. This is a wonderful compilation of places related to him. This is great, I have to admit apart from his artwork I didn’t know much about him. I found this really interesting. I know right! And can you believe that I lived around the corner for 18 years and had no idea about this! I wonder if they will play “Loving Vincent” in the USA. I’d love to watch it. I love Van Gogh’s paintings and I remember reading a novel about his life when I about 14. It shocked me terribly that he cut his ear. I’d love to stay in that hotel that was completely styled after Van Gogh. Thanks for sharing this on #TheWeeklyPostcard. It’s premiered worldwide, so also in the US. Though I guess you’d rather find it in an arthouse movie theatre than one of those blockbuster cinemas. Wow never realized there was soooooooo much dedicated to Van Gogh! I’ve only been to the museum in Amsterdam and was so sad his Starry Nights wasn’t there 🙁 Guess I’ll have to go to NY! Thanks for linking up with #TheWeeklyPostcard! Ah yes, he was Dutch after all 😉 I guess you’d see lots of his famous works at Kröller-Möller museum! 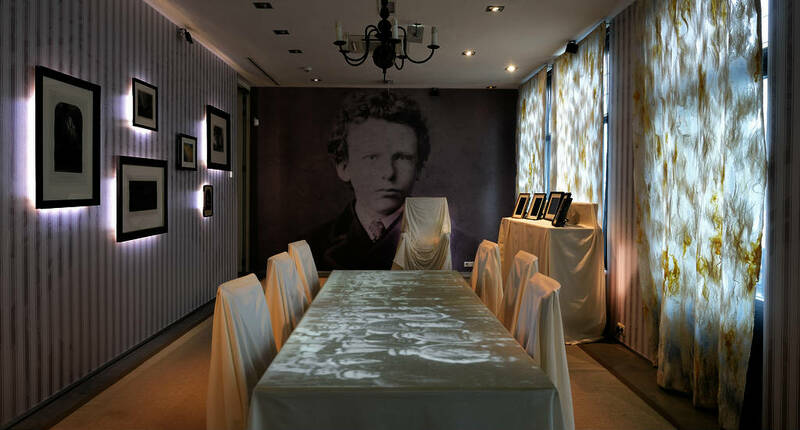 I visited the Van Gogh museum when I was in Amsterdam but I had no idea there was a hotel styled after his artwork. Definitely putting it on the list for my return trip – how unique! That’s so interesting that Van Gogh was born just down the road from your hometown! I can see why it sparked such an interest for you. I never got to visit any of the Van Gogh stuff when I was in Amsterdam but would definitely like to on another trip. I especially love that there is a VanGogh themed hotel with replica’s of his work, so cool! LOL well, you have me there (though I can draw an excellent goldfish, thank you very much!). I’d never swop my life for his tortured existence, however, no matter how much I love his work! Had no idea there was so much van Gogh around the Netherlands! 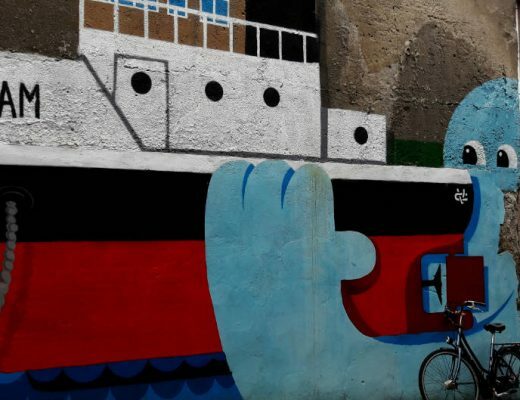 We do like visiting areas that are tied somehow to arts and artists, so these places would be right up our alley. We’ve made some notes for when we get to (and hopefully beyond) Amsterdam. Thanks for sharing on #TheWeeklyPostcard and #WeekendWanderlust! This is a wonderful lot of information. I visited the Van Gogh museum in Amsterdam and loved it. 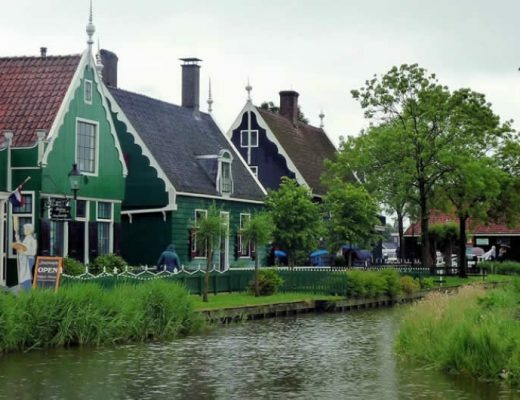 A trip to these smaller towns in the Netherlands would be a dream come true! Oh my goodness this is SO fascinating and I would LOVE to visit. It looks really modern inside, too! How fascinating! I only knew about the museum. It is so fun to visit locations of importance for notable people like artists and celebrities!